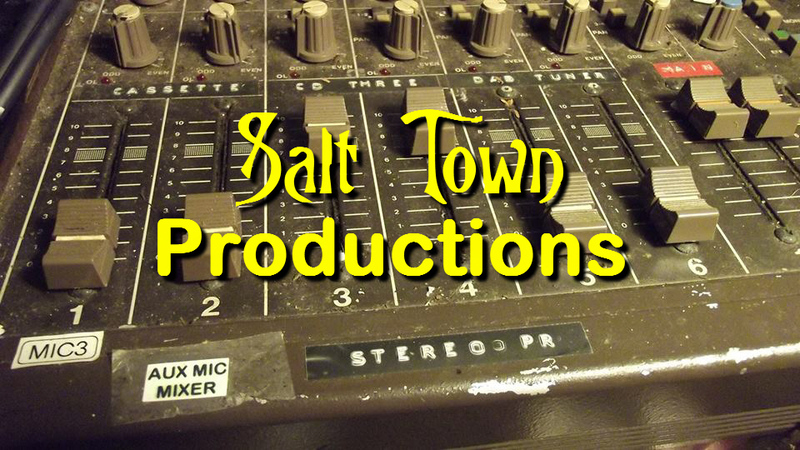 The campaign's official logo, based on an illustration used in our first ever publicity leaflet. This design was never used extensively, as certain members of the group felt that the type of train illustrated would lead the public to expect 'better' trains than the clapped out Sprinters and Pacers the service would, initially at least, undoubtedly be provided with! 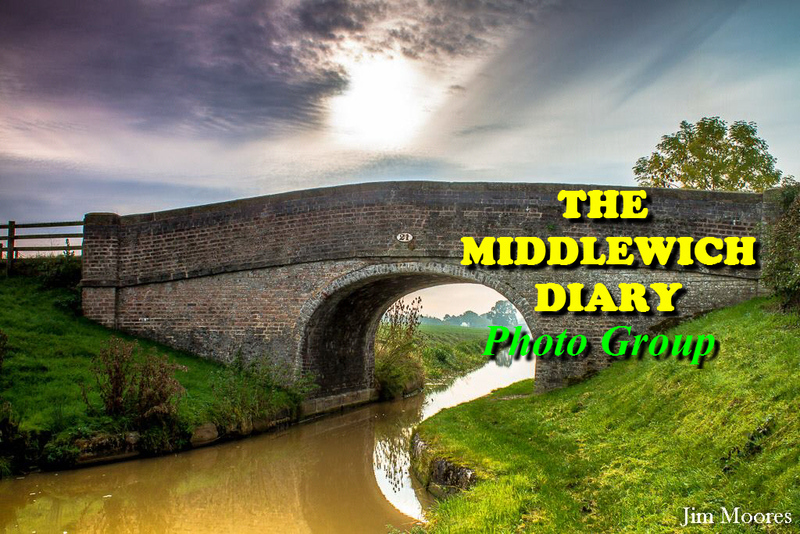 For me it all began in the early 1990s with a photograph and short paragraph in RAIL magazine announcing that the section of the Sandbach-Northwich branch line between Middlewich and Northwich was to be closed to all traffic, leaving only the section from Sandbach Junction to Middlewich, including the Middlewich loop, open to cater for dwindling traffic from British Salt and Hay's Chemicals. The news, as can be imagined, caused more than a small pang of regret. I had grown up with this railway, having lived across the road from it in King Street from 1959 to 1983. 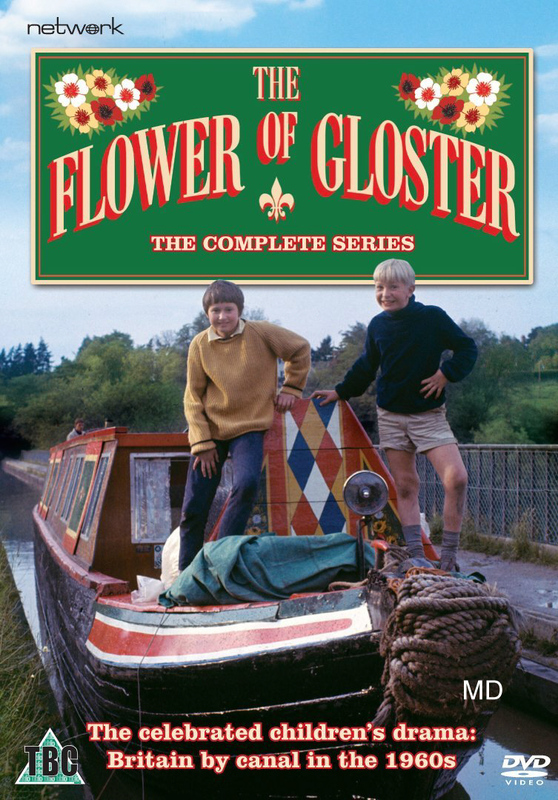 I was old enough to have travelled on 'The Dodger' during its last year of operation, and had spent hours in the signal box, along with many other local youngsters, and listened to the tales of, among others, signalman David Myles who was in later years to become a drinking partner in the Kings Arms. 'Jock' Myles was a legendary figure. 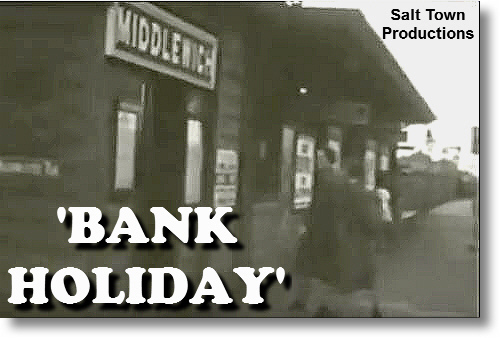 As another of his followers, railway writer Alan Wilkinson, has said, he found the actual running of trains more of a nuisance and an inconvenience than anything else and would have preferred to concentrate on his hobbies - betting on the horses (the signal box radio, an early transister model, was permanently tuned to racing commentaries) and drinking in the nearby Boar's Head Hotel where, local legend had it, he was a member of the domino team. 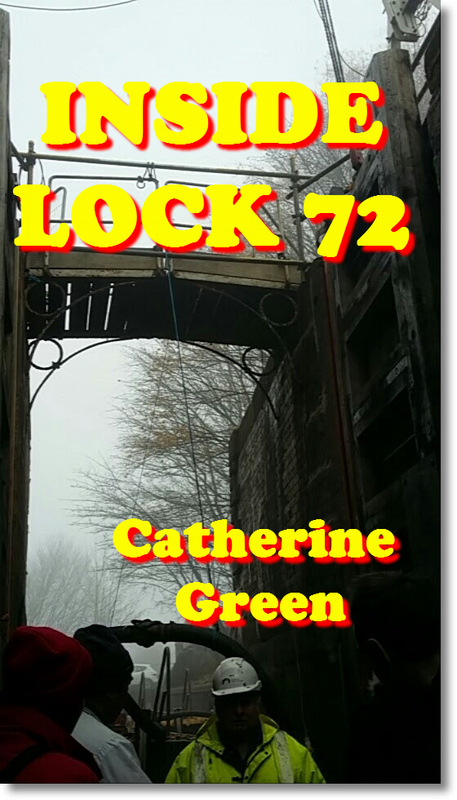 One of our favourite Jock stories told of the time when the driver and fireman of a goods train from Crewe found themselves held at a red signal in Brooks Lane for an inordinate length of time. Telephone calls to the signal box were unanswered ( this was, of course, many years before mobile phones and 'cab to shore radio') and so the fireman took a stroll down the track to the Boar's Head to hoist Jock away from a game of dominoes. Whether the story is true or not - most likely not, of course - the fact that we used to believe it is an indication of 'Jock's' status as a local celebrity. 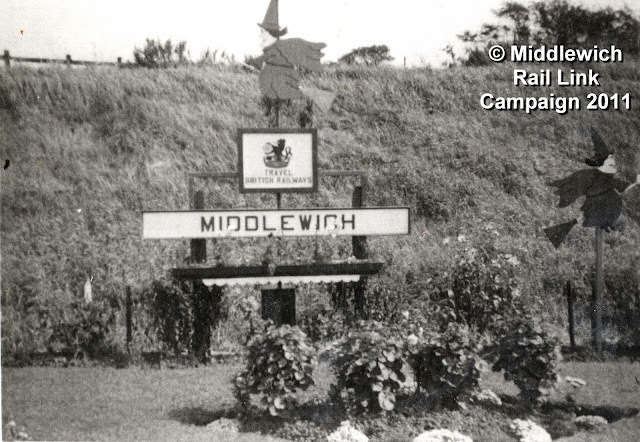 The Middlewich line was very busy in the 1960s and 70s, even though the passenger service had ended at the end of 1959 and goods services at the station itself been withdrawn in 1967 (coincidentally a hundred years after the line opened). My childhood years in King Street were lived to the accompaniment of clanking and hissing steam locomotives (slowly merging, as the sixties gave way to the seventies, into the throbbing and high-pitched whistling of diesels) and the clattering of shunting in the goods yard across the road. Like many people in Middlewich I had always hoped that one day passenger trains might return to the line and our town get back its station (a hope which, it seems almost incredible to recall, could as recently as the early 1990s, easily gain you a reputation as 'a dreamer', a 'hopeless romantic' or even a 'nutcase') and so British Rail's 'death sentence' on the Middlewich-Northwich section of line, to be followed, no doubt, soon afterwards by the inevitable closure of the rest of the line as the salt and chemical traffic disappeared was a bitter blow. I decided to do some investigating and found that just beyond the River Dane aqueduct in King Street a 'Limit Of Shunt' sign had been placed across the track, indicating that no more trains would be passing that way. It didn't make sense. 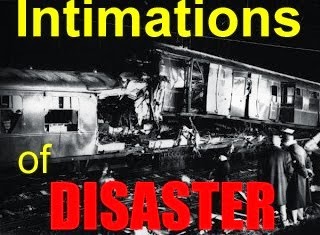 What would happen to the passenger trains diverted along the line when the Crewe-Chester line was closed (a use for the line still cited frequently today as evidence of the line's suitability for passenger trains)? Could this vital section of railway really be gone forever? The answer wasn't long in coming. A few days later where once there had been a 'Limit Of Shunt' sign an inter-city train (in 'full regalia' as I reported at the time) could be seen making its stately way along the supposedly 'closed' section of line heading for Northwich. So what had happened to the closure? It was, apparently, all down to internal politics within British Rail. At that time the various sectors of the 'business' were responsible for the maintenance and upkeep of the network's infrastructure. In the case of the Middlewich line, the Railfreight sector had clashed with the Inter-City sector over who should pay for the line; toys had been thrown out of prams and a major hissy-fit had resulted in the closure of part of the line for about three days. Then, of course, not for the first (or last) time, the importance of that short piece of line had been realised and a compromise had been reached. 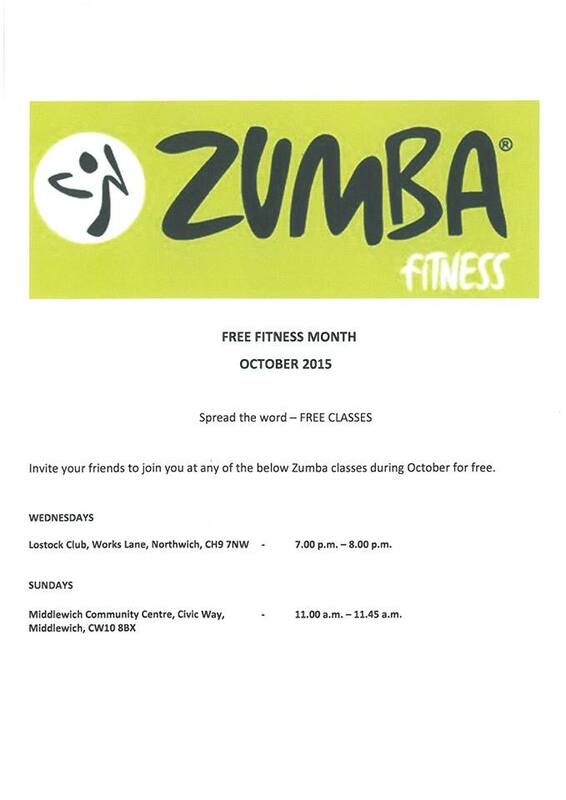 Suppose - just suppose- it hadn't and the Northwich section had remained closed? As I've hinted above the rest of the line would surely have closed shortly afterwards due to dwindling salt and chemical traffic and the task of re-opening the line to passengers would have been made infinitely more difficult. As if it isn't difficult enough, I hear you cry! This close shave sparked a renewed interest in our local railway line, and I wondered again if there might be some mileage in a campaign to bring back passenger trains and re-open the station. The idea had been mooted twice before (to my knowledge). 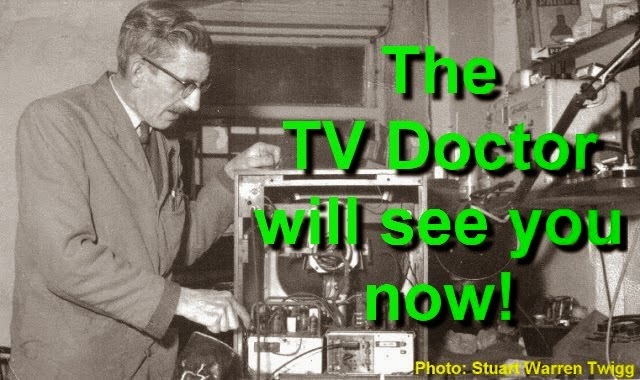 Shortly after closure, in the early sixties, none other than Signalman Myles had put the idea to the then British Railways, and received very short shrift. 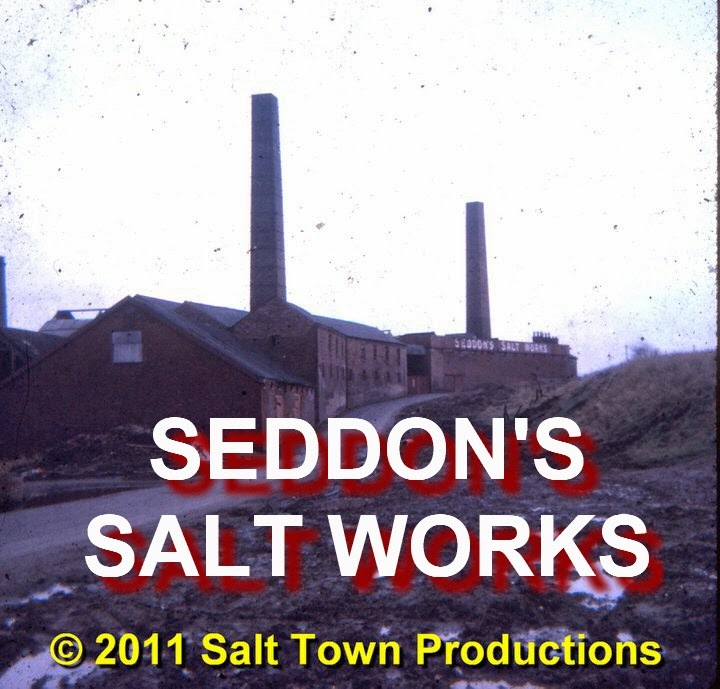 A decade later County Councillor Dorothy Roberts tried again, but, again, with little success. Quite simply, the time wasn't right. And wouldn't be for another twenty years. 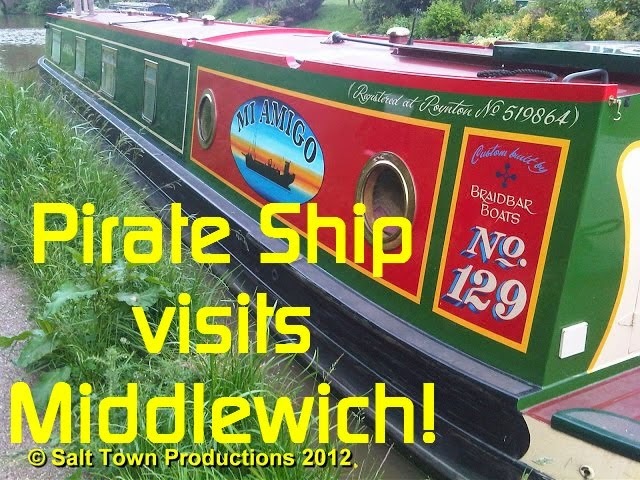 Contrary to popular belief, the Middlewich Rail Link Campaign was never 'my' campaign. 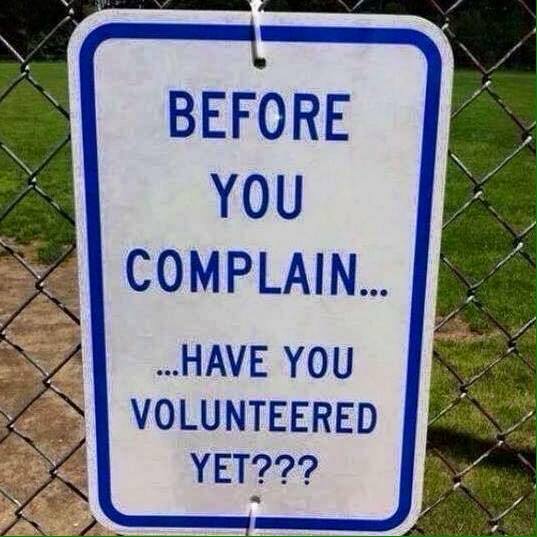 I didn't start it and wasn't even its chairman for a few years after I first got involved. In 1992, before it was possible for most of us to find out anything we wanted via the internet, information was hard to come by but, eventually, I heard about the Mid Cheshire Rail Users Association (MCRUA), the body which looks after the interests of passengers on the Manchester-Chester (via Northwich) line. 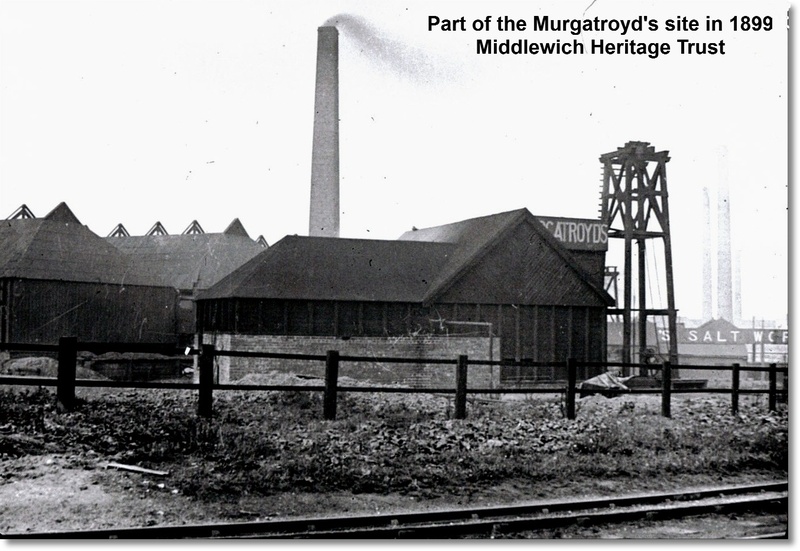 One of the aspirations which MCRUA had for the local railway network was the re-opening of the Middlewich line to passengers, the establishment of a regular Manchester-Crewe service on the line and the re-opening of the station at Middlewich. 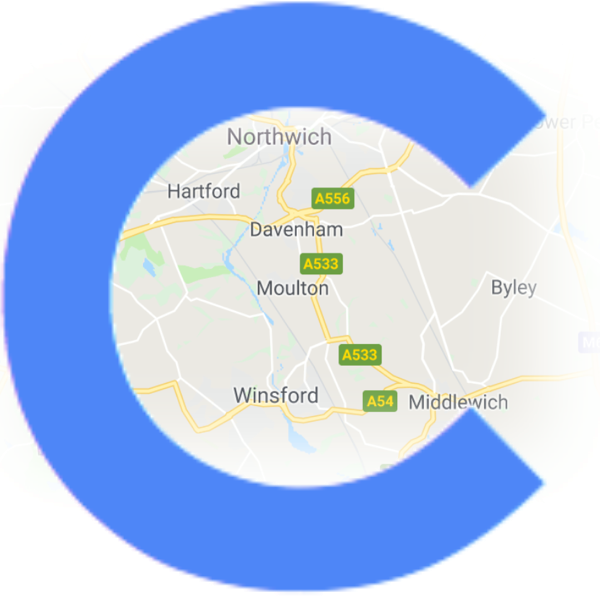 As well as giving our town its railway service back, this would also provide passengers using stations east of Northwich with a direct service to Crewe without the need to travel via Manchester or Chester. This point, although considered almost incidental at the time, has been the catalyst for the revived campaign, under its new name of the Mid-Cheshire Rail Link Campaign. 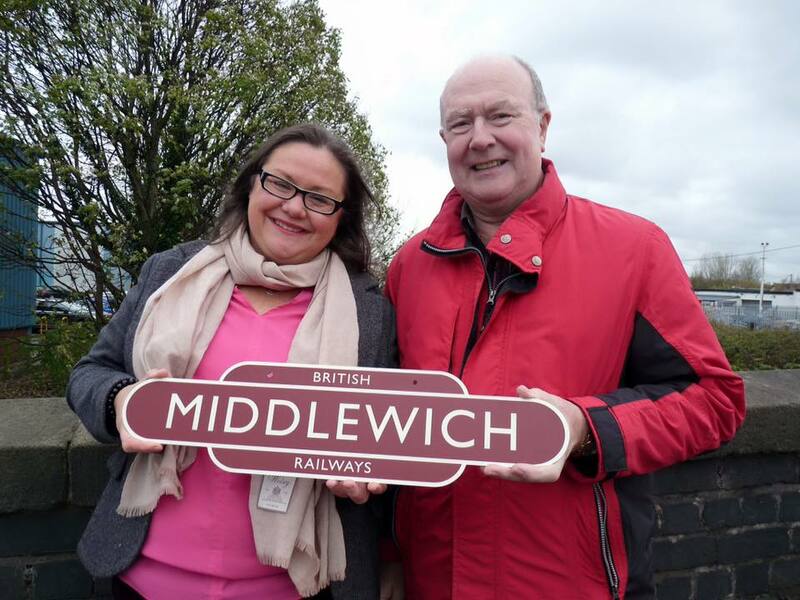 A tie-up with MCRUA seemed an obvious way to push forward the idea of re-opening Middlewich station to passengers, and I phoned Andrew MacFarlane, who was the Association's chairman at that time. Andrew invited me to a meeting at the Lion & Railway Hotel, close to Northwich station (now,like so many pubs, given over to 'apartments'). Incredible as it may sound I travelled to that meeting not by car or bus (and, of course, certainly not by train) but on my trusty old pushbike. Once there I learned all about MCRUA and its support for the idea of passenger trains on the Middlewich line. 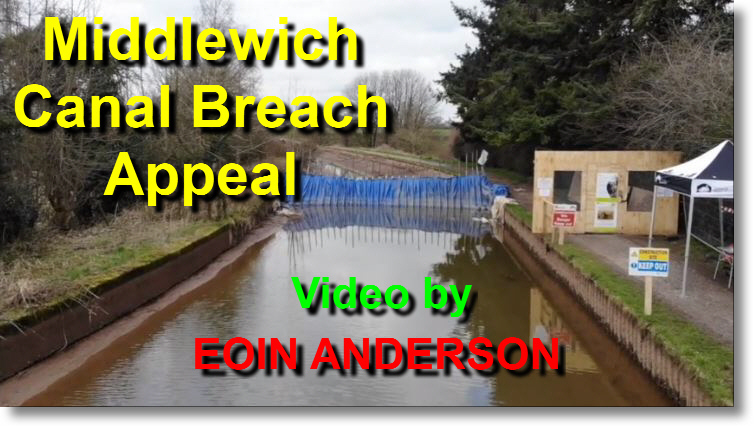 Before I could stop myself I had volunteered my services as representative 'on the ground' here in Middlewich of what would, eventually, become the Middlewich Rail Link Campaign. Reaction to the idea of a re-opening campaign here in the town was mixed. The vast majority of people were, and of course still are, very much in favour. There were, though, a few dissenters and, human nature being what it is, those are the people whose views stick in the mind. One local councillor, who it is kindest not to name, said, 'it's ridiculous. Everybody has a car these days!' - as neat an example of missing the whole point as you'll ever find. The very fact that 'everyone has a car these days' is what has led to the need (and the ever-increasing demand) for rail services. 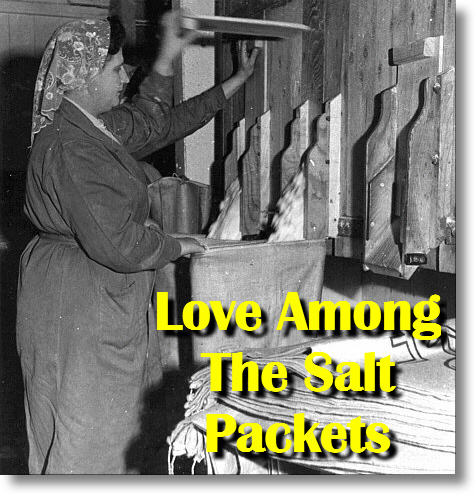 From others came the usual, dispiriting, 'you're wasting your time! 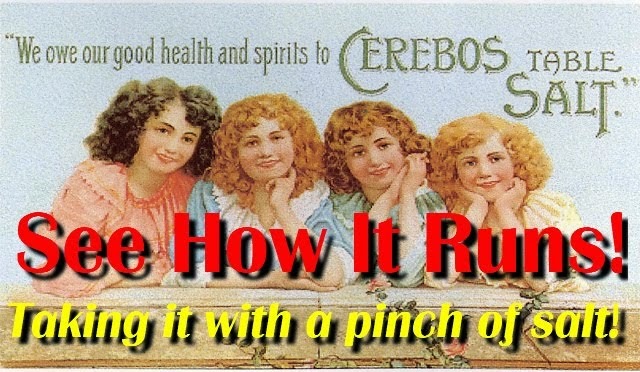 ', the traditional cry heard in Middlewich every time someone comes up with a good idea, and originating usually from those who do nothing most days of their lives except themselves waste time. But my favourite of all the 'anti' comments - and, in truth, when you consider that the original MRLC Campaign ran for 23 years, there have only been a handful - was reported to me by someone who was listening to a group of distinguished railway 'experts' in the Kings Arms one day. According to these transport gurus I was 'an idiot' who ought to have known that the Middlewich branch line had been closed, and the line lifted, 'years ago'. 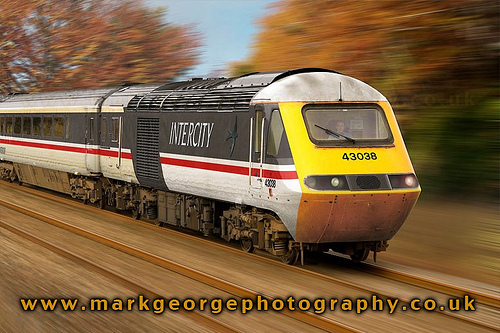 passenger trains which have been using the line for all these years. 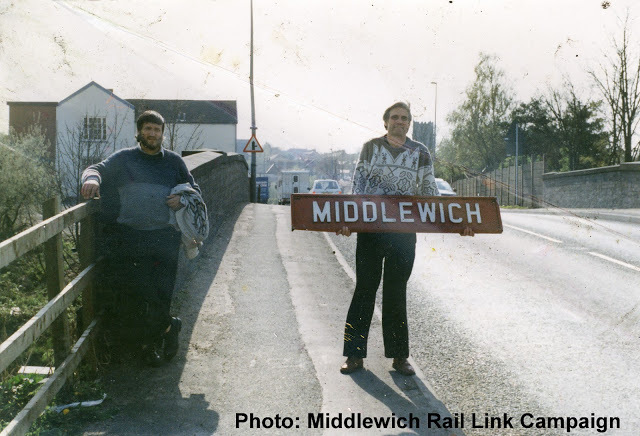 I've been saying for almost twenty-five years now that if someone can come up with a reason - a good reason - why the Middlewich line should not re-open to passengers, I'd listen. Of course there have been one or two people who have opposed the re-opening for their own reasons. People, for example, who live alongside the track and fear that increased rail traffic will mean increased noise and vibration. We have argued that small, lightweight, passenger trains will cause little, if any, extra noise and vibration and pointed out that all railway lines are used as and when required and the Middlewich line could at any time be used for frequent heavy freights as it was in the past. There would be nothing that anyone could do about it. The ultimate solution, of course, as we've also repeatedly pointed out, is not to live near a railway line. 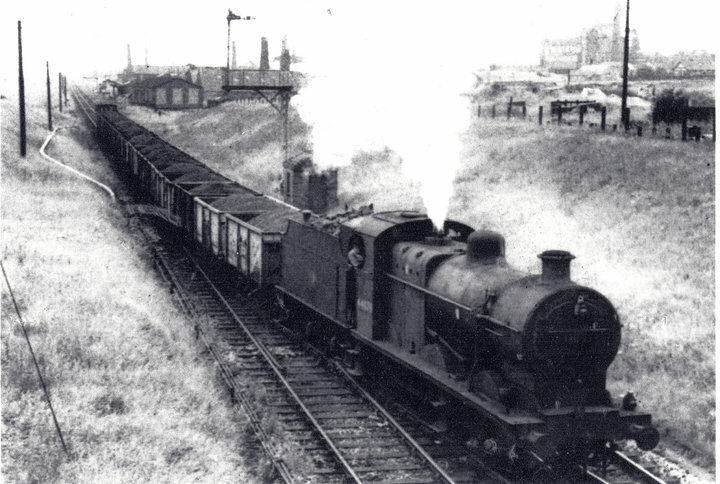 with the Middlewich line and the now also-defunct Sandbach-Alsager line, once formed an important route for oil trains from Ellesmere Port to Stoke. 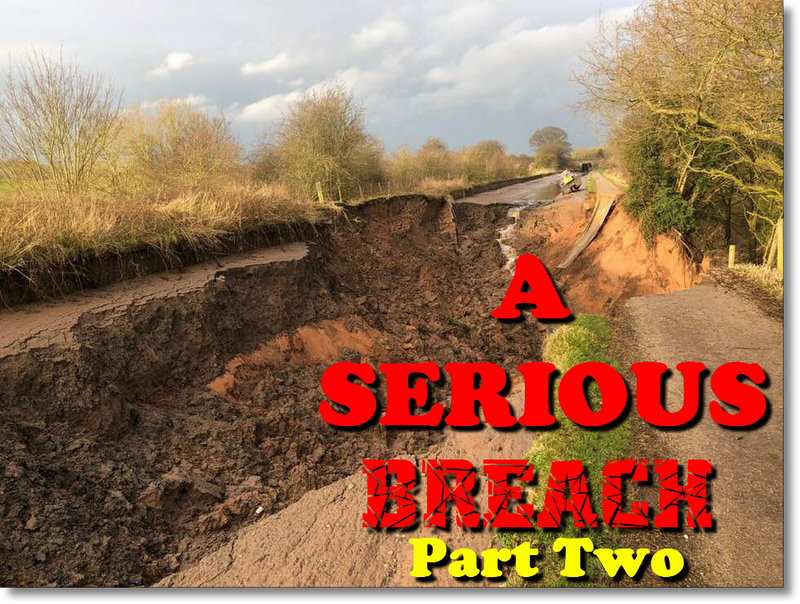 It has been one of our functions to keep a 'watching brief' on the West-Cheshire line to ensure that the track-bed is kept clear for possible re-use some enlightened day in the future. 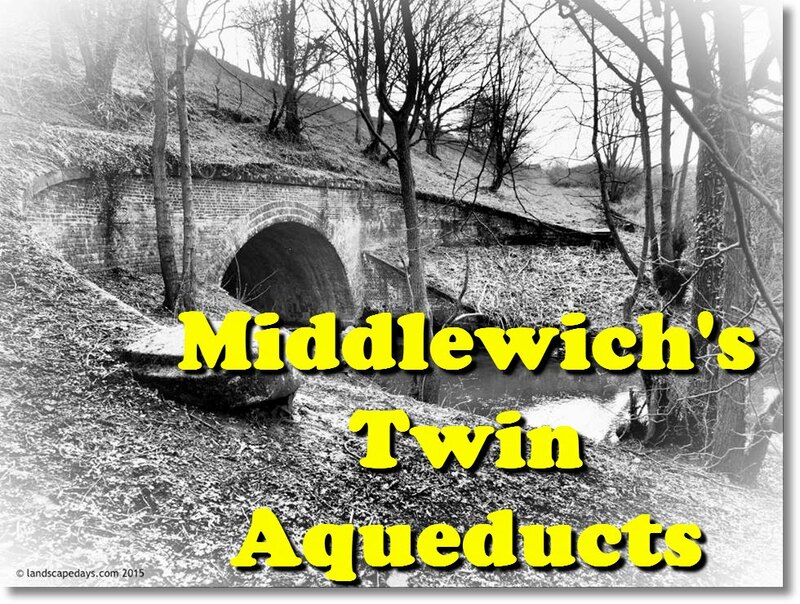 These early Middlewich meetings were originally chaired by then MCRUA Chairman Andrew MacFarlane, who continued the tradition of using push-bikes by cycling to Middlewich from Northwich Station once in a while, having travelled from Altrincham by train. The Middlewich and West-Cheshire Committee did sterling work in keeping the idea of re-opening the line before the public and, slowly but surely, we began to win the doubters over. Naturally, one of our first ideas was to involve what was still British Rail at the time and to ask them to send representatives to talk to us. 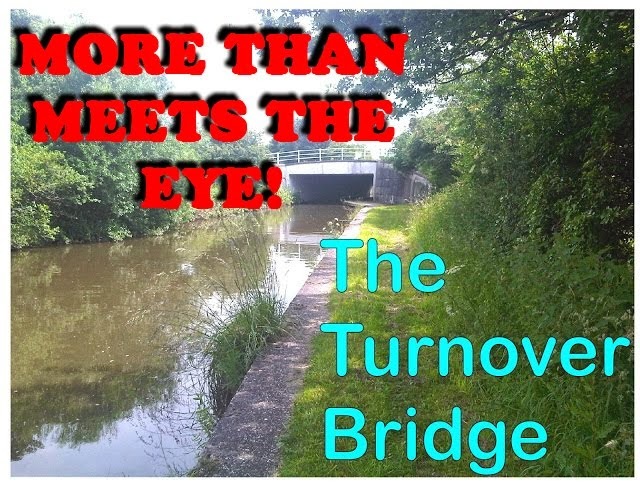 Amazingly, they accepted and two 'network development' bods came down from Manchester to talk to me at a hastily-arranged site meeting on Middlewich Station Bridge in Holmes Chapel Road. Also present were Peter Cox (MRLC Deputy Chairman) and the then-ubiquitous Norman Macklin, son of Middlewich's last station-master. ME: Haven't you looked at a map? ME: Well it goes to Northwich in that direction (pointing north) and Sandbach (gesturing across the road) in that direction. 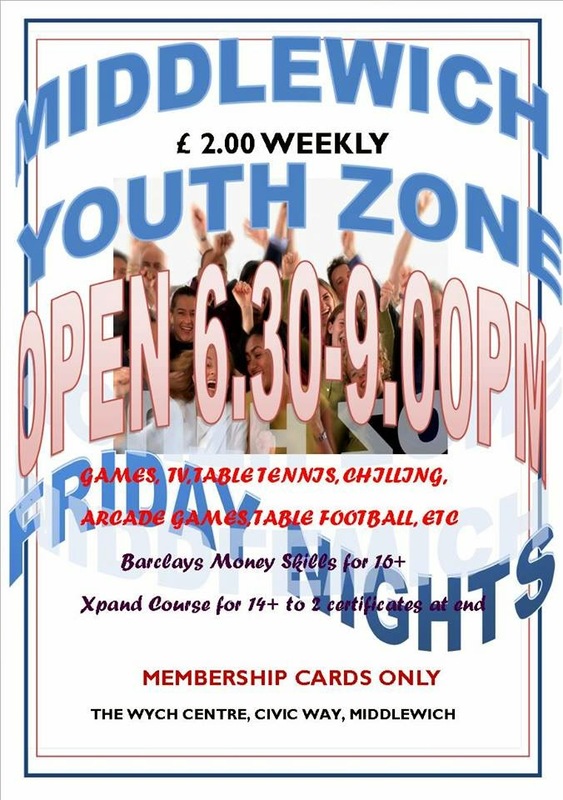 1st BR BOD: And what's at Northwich? Are there spring-loaded points? ME: (puzzled) Not as far as I know. 2nd BR BOD: When did the line close? ME: It didn't. It's still open for freight. 2nd BR BOD: (surprised) Really! *Of course, the reply to 1st BR BOD'S first question should have been, 'it doesn't go anywhere, it just lies there,' but I decided against it. There were, as can be imagined, frequent interjections from Norman Macklin. As can also be imagined, they didn't really get us any further forward. But wouldn't you have thought that, before coming out to look at our line, these BR 'network developers' might have taken the trouble to read something about it, find out something about its history and/or potential. Or, at the very least, look at a map? Sadly, this has been our experience with representatives of the railway industry throughout (until, it has to be said,very recently). They all seemed to know little and care less. 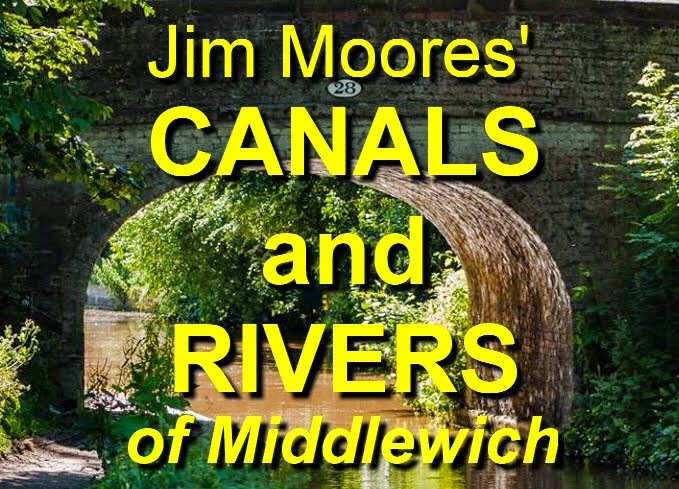 Around the same time as this odd encounter a local developer told me that he had been approached by British Rail suggesting that the Middlewich line should be turned into a road to serve one of his new estates in Holmes Chapel Road. With 'friends' like that, who needs enemies? Soon the Middlewich Committee, which was never really a 'committee' in the true sense of the word, had become the Middlewich Rail Link Campaign with me as Chairman and Peter Cox as Vice-Chairman and we settled in for the long-haul, winning hearts and minds and trying in vain to get the then transport authority, the Cheshire County Council, to do something about at least starting the ball rolling. 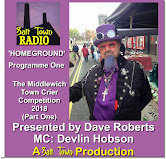 The CCC would send a representative down to Middlewich once a year to explain how the Council were 'supporting' the re-opening of the Middlewich line. And the more we asked them to define 'supporting' the more evasive they got. Significantly, the CCC would not do for Middlewich what they had done for the campaign to re-open Beeston Castle & Tarporley Station - i.e. commission a feasibility study. 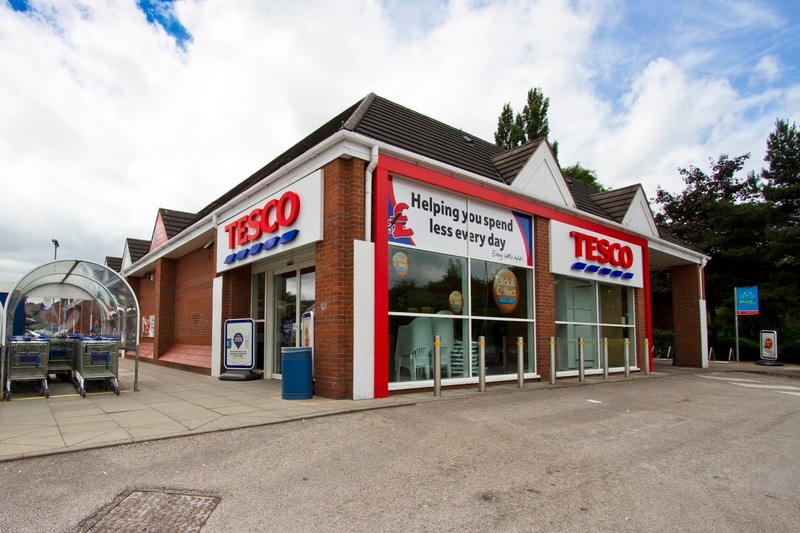 The reason why was obvious to us; the Beeston scheme (as someone at the CCC will have known full well) was proved to be a non-starter. 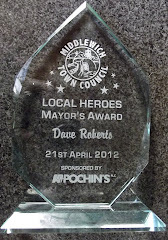 But had the County had a different result from a Middlewich study - which it most certainly would - it would have meant actually doing something about our scheme rather than just talking about it. MRLC, working with CEC and other bodies later commissioned no less than two feasibility studies - the Chapman Report and the Railway Consultancy Report which both gave a resounding YES to the proposals. 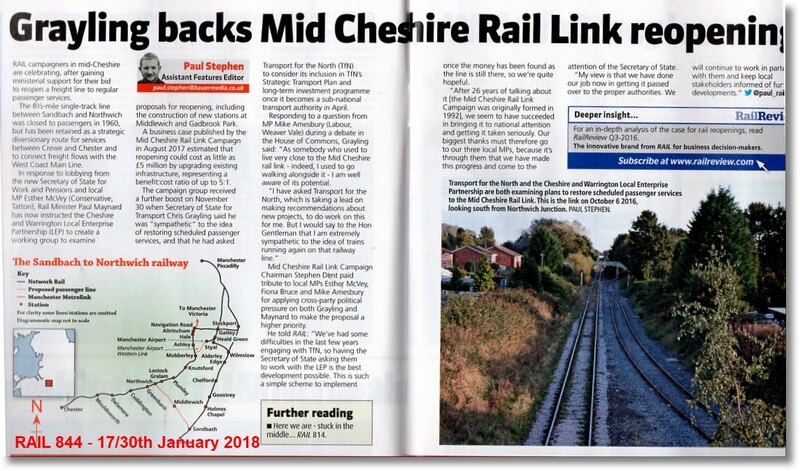 Incidentally, it is heartening to see that information from these reports is, at last, set to be used as the basis for serious consideration of the re-opening scheme under the auspices of the new Mid-Cheshire Rail Link Campaign. And so the MRLC years rolled by. 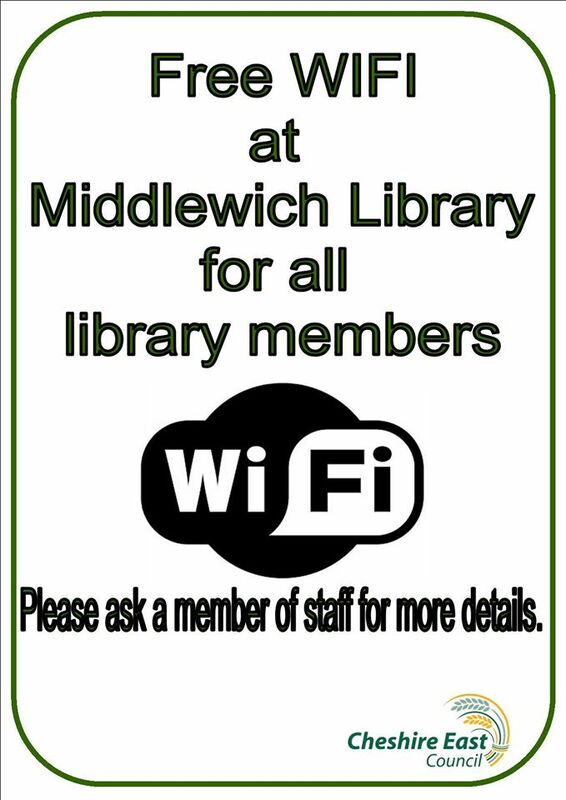 We successfully managed to keep the idea of a new station and a passenger service for Middlewich alive. 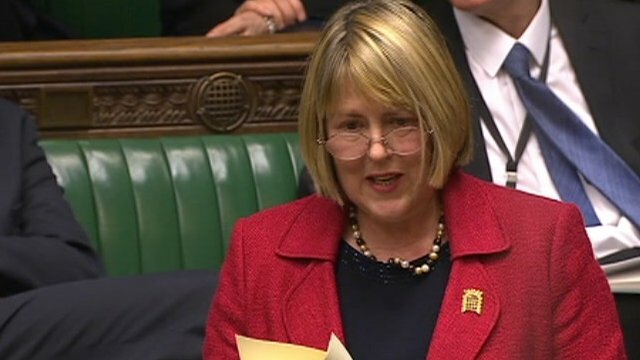 One of our best moves was to enlist the aid of Congleton MP Fiona Bruce, who presented our petition to Parliament and has never missed an opportunity to bring up the scheme with the powers-that-be both at Cheshire East and Westminster. 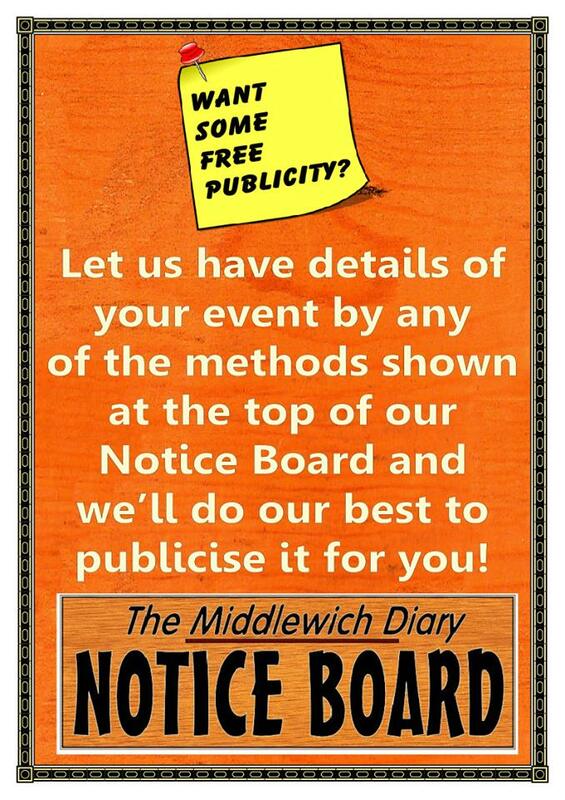 Incidentally, those who glibly assert that Fiona Bruce 'wouldn't know where Middlewich is' and all the rest of it, might like to note that she has attended many MRLC meetings here in the town since being elected and has always shown a keen and intelligent interest in our proposals, and done everything within her power to make sure they become reality. Please note that this is simply a statement of fact - we do not get involved in politics, local or otherwise, and never have. 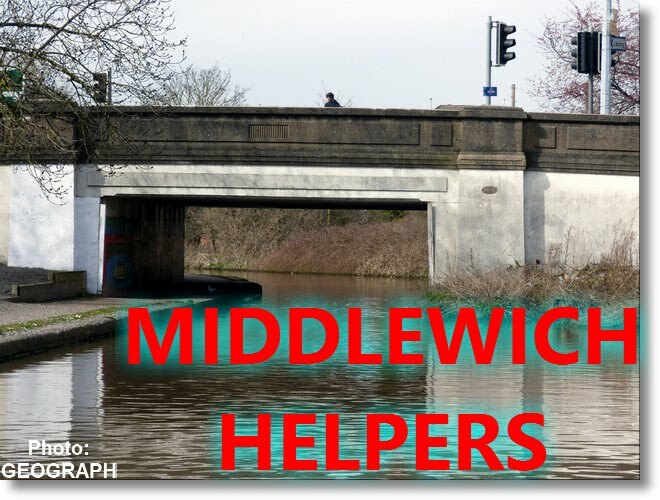 With the demise of the old CCC and the creation of Cheshire East Council we turned our attention to this new body and began lobbying for this much-needed service for Middlewich and, of course, for Cheshire and the North-West generally. 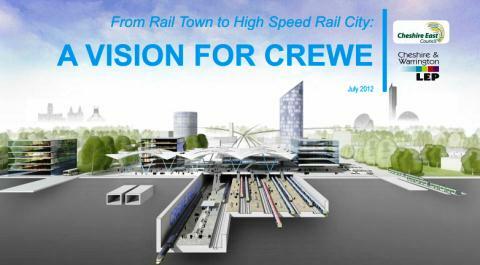 Cheshire East has always made it clear that it considers the best hope for a new passenger service for Middlewich is as a feeder service for the proposed new HS2 hub station at Crewe. The council also has big, though as yet undefined, plans for railfreight facilities near Middlewich which, if they come to fruition, will change the face of what they have taken to calling the 'Middlewich Rail Corridor' beyond recognition. This is an oft-told story and I don't propose to tell it again. rather than as a adjunct to HS2, and to revitalise the campaign, I decided to bow out as Chairman. 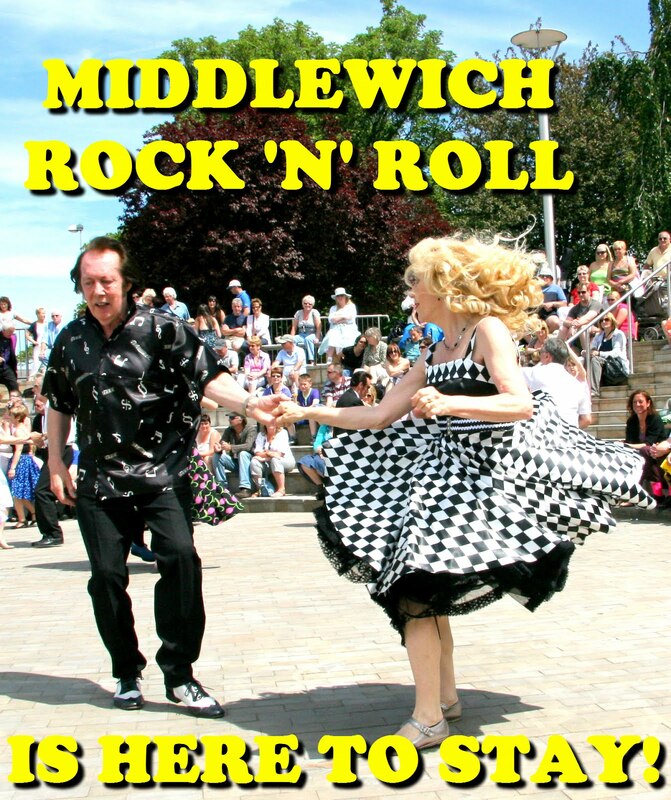 The revitalised campaign would, in effect, be a new campaign, with the focus on the wider benefits the re-opening would bring to communities across Cheshire as well as to Middlewich, and I felt that, after twenty-three years, I would have little to contribute. What was needed was a new chairman, capable of talking with people at Network Rail, Cheshire East and all the other parties involved on equal terms, and the welcome appointment of Stephen Dent, ex-Assistant Town Clerk and a man with vast experience in local government and administration means that the newly-renamed Mid-Cheshire Rail Link Campaign has just the man for the job. Local councillor Samantha Moss has enthusiastically taken up the role of Secretary to the new campaign, while Peter Cox remains as Vice-chairman. The relaunch of the campaign has also seen a much-needed influx of 'new-blood' with new members taking on the vital administrative roles the campaign needs, most maintaining a high profile, but some preferring to stay slightly disconcertingly in the shadows. The 'new' campaign has been kind enough to offer me the role of Honorary President, which I was honoured to accept. I hope the Middlewich Rail Link Campaign has laid the foundation for the ultimate success of the Mid-Cheshire Rail Link Campaign and it goes without saying that I will do everything I can to help achieve that success. On this last day of 2015 I wish everyone involved the very best for the New Year and hope that 2016 brings the progress that everyone's hard work deserves. As far as I'm concerned, MRLC only failed in one regard. 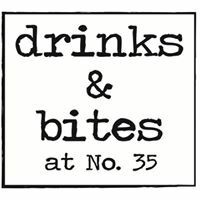 Someone, who ought to have known better, once described our meetings as 'little more than a Gentlemen's Drinking Club'. Well I don't know about you, but I'd regard any Gentlemen's Drinking Club which only met for an hour every two months to be a bit of a damp squib. 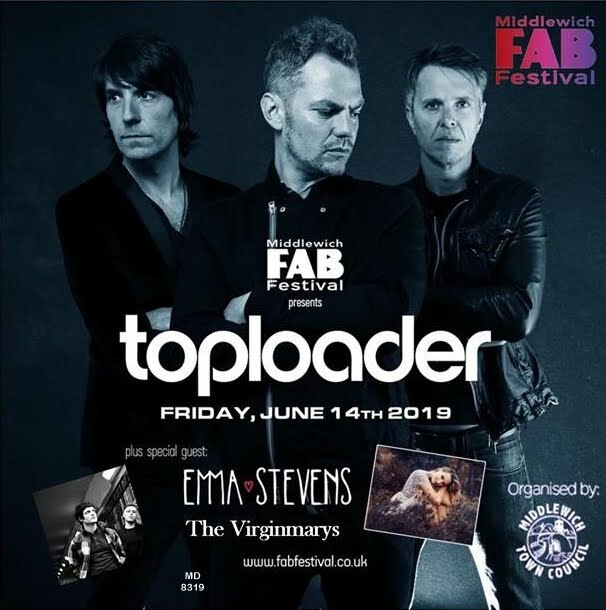 It's no Middlewich Beer Festival, that's for sure! 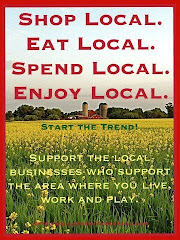 An interesting synopsis that fills a few gaps for me. The danger is that we get a line and no station. 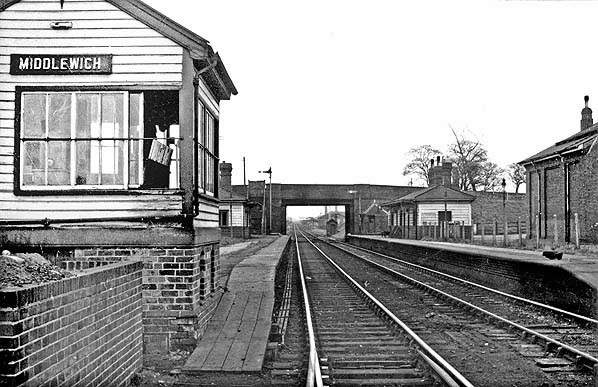 A fascinating photograph of the old station. Thanks for your comment, Peter, and thanks also for your hard work for the campaign over the years as a councillor. You're one of the 'too many to mention', of course. 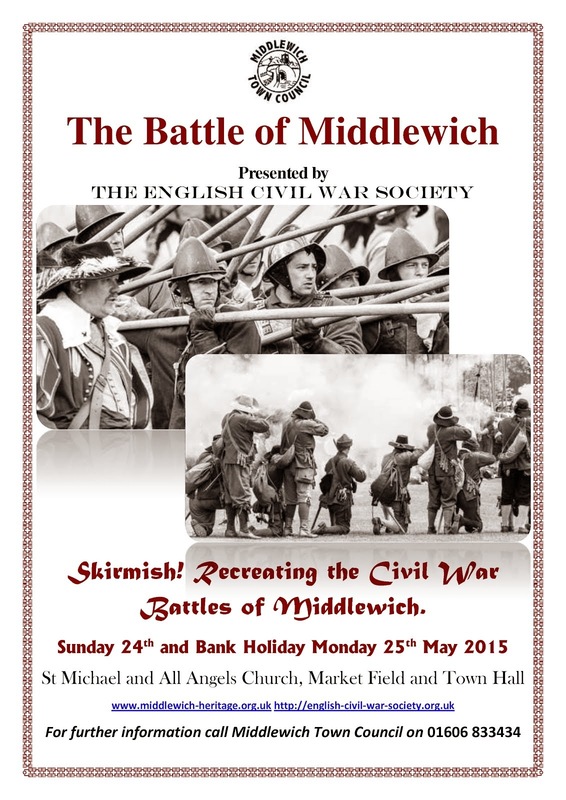 I'm sure your help will be invaluable to the Mid-Cheshire RLC as it gets ever closer to achieving its goal.